Dahm Law Offices, LLC is the practice of Attorney Bert Dahm, a talented and experienced corporate litigator. 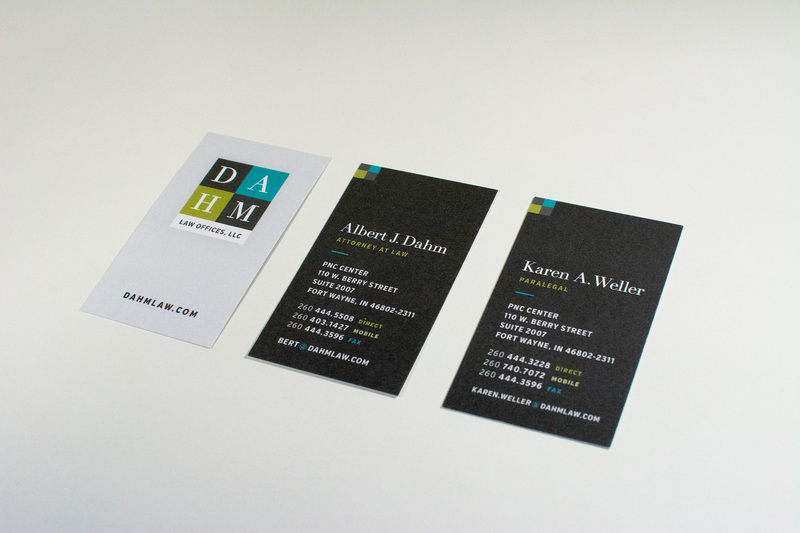 Dahm Law came to DKLLC looking for new branding and a website that properly portrayed his professionalism and expertise. 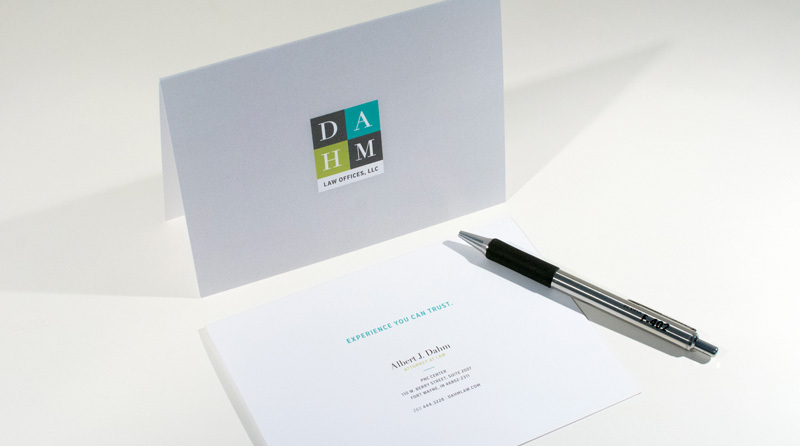 For attorneys — especially a solo practice like Dahm Law — the name needs to be front-and-center in the branding. 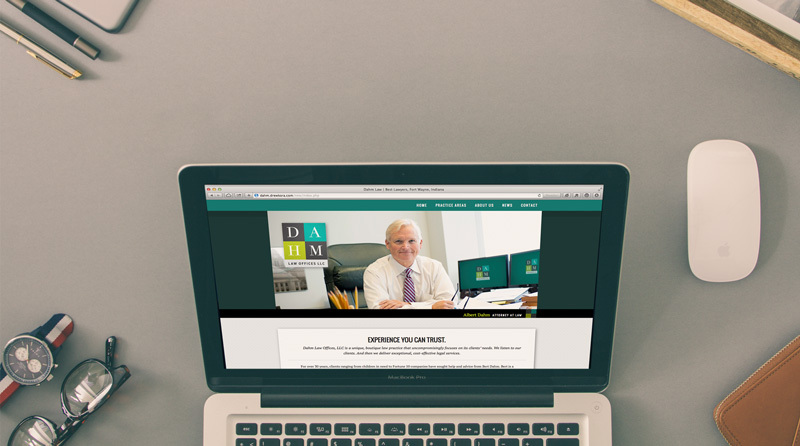 It was important to Dahm that the logo portray his up-to-date expertise and national experience with corporate law. The logo DKLLC designed does exactly that. Its letterforms feel classic and established while at the same time are decidedly modern and fresh. And the green and teal color palette stands apart from the predominantly navy blue or red palettes of most firms in the area. The website is built on a responsive framework that adjusts seamlessly to the screens of desktop, tablet and mobile devices.